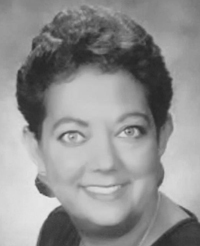 Augustus Funeral Home regrets to announce the passing of Joy Renee Jones. A Home Going service for Joy Renee Jones, daughter to the late Arthur and Violet Cannon, loving and dedicated mother to Karen Jones-Simmons and Quiency Jones [Darmell], beloved grand-mother to Rai Simons, Marley Simons [children’s father Arthur Simons], Koidi Simmons [father Dennis Simmons], Ne-Quae Jones, and Ny’esa Jones, sister to Howard Simons [Gilda], Stephanie Smith, Rosemarie Walters, Perry Simons [Antionette], Clyde Cannon, and the late Earlington in her 61st year of 26 Chapel of Ease Lane, St. David’s will be held at St. John’s Church, Pembroke Today, August 25, 2018 at 4:00 pm. In lieu of flowers, donations can be made towards medical expenses for her grand-daughter HSBC 006-039366-011. Lovingly remembered by adopted sister-in-law: Debra Swan; nieces: Sandra Gomes [Reginald], Sharon Swan [William], Terry Quinn [Scott], Eugenia Simons, Jeanne Mason, Keisha Major [Lionel], Tammy Cartwright [Cornelius], Kewanna Swan, Corrie Haynes [Christopher]; nephews: William Frost [Amber], Antione Hansey[Dionne], Jay Simons[Aisha], Eugene Hansey, Earl-Jay Simons, Manuel Mesa[Christine]; numerous great-nieces, great-nephews and other relatives; adopted family Lydia Foggo, Cindy Foggo and Family, Children’s father Quinton Jones; god-children: Cheryl Hayward and Chae Foggo; special friends: Dale Young, Karen Brine, Barbara Trott and Keecia Tuckett, The Trott Family, The Jones Family and the Coldwell Banker Realty Family. Joy was predeceased by her sister-in-law: Jackie Simons; brother-in-law: Ross Smith; nephew: Wayne Frost; special friend: George Trott.